In July of 2015, AlgEternal announced that, based on its field tests, it believes that its pure algae concentrate, harvested with OriginClear technology, may reduce conventional fertilizer cost by up to 40 percent. AlgEternal reported these findings following field testing at its agricultural facility in Weimar, Texas, where an array of its bioreactors fed raw algae to an OriginClear EWS A25 Algae Harvester. Best National Universities rankings. NMSU’s Energy Research Laboratory is funded by two grants from the Department of Energy and another from the National Science Foundation through the “Energize New Mexico” EPSCoR Program (http://www.nmepscor.org). On June 13, 2016, OCHK entered into a Joint Development and Commercialization Agreement with Hong Kong-based water treatment engineering and manufacturing firm Park Rich Environmental Technology Co., Ltd. (Park Rich), based on specific purchase orders from time to time and upon the terms that the parties agree to. 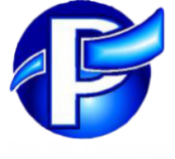 In February, 2016, OriginClear had also signed a distribution agreement with Park Rich affiliate, Jovial Technology. Park Rich helped showcase OriginClear’s technology at the major water conference, Aquatech China, in Shanghai between June 15 and June 17, 2016. At this show, OriginClear was awarded the prestigious China Blue Tech Award, as organized by BlueTech Research and Mandarin Environment in partnership with Aquatech China.